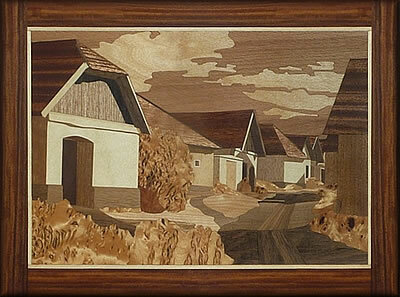 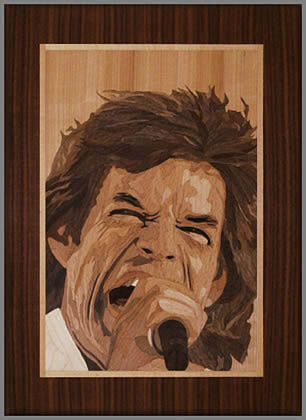 Austria is a country that produces some really superb examples of wonderful marquetry. 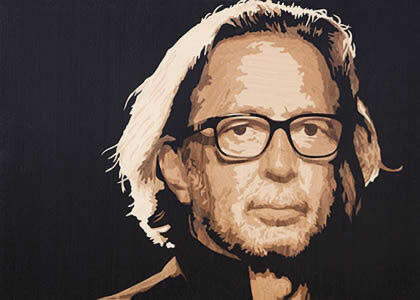 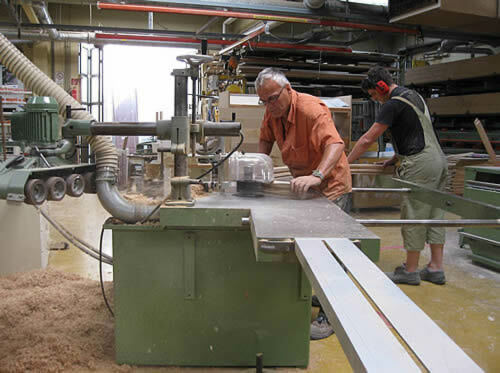 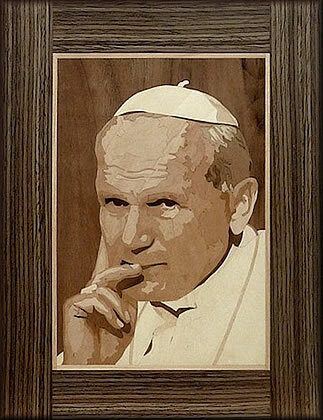 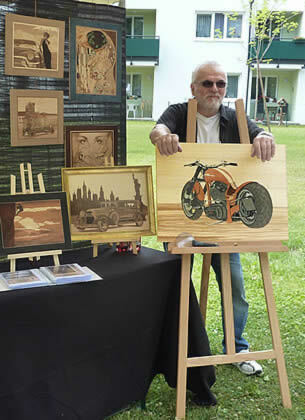 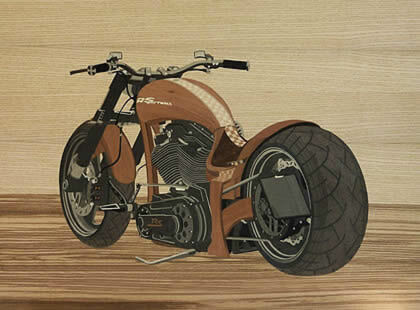 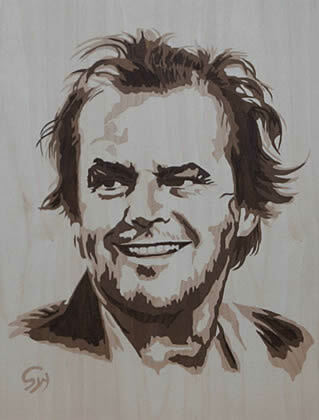 Born the son of a master carpenter in 1950 Vienna I naturally became interested in all things to do with wood, especially veneers and their use in art. 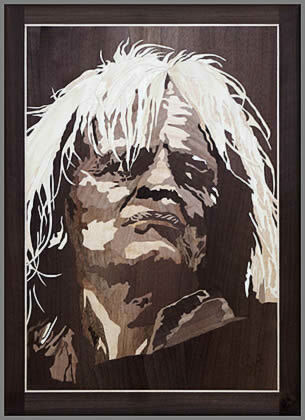 In 1967 I graduated as an artist and cabinetmaker. 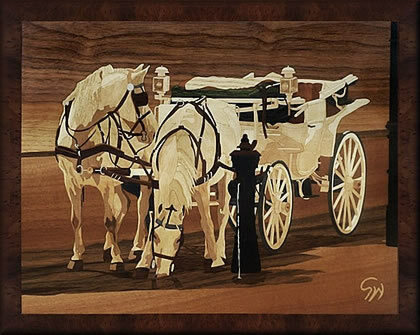 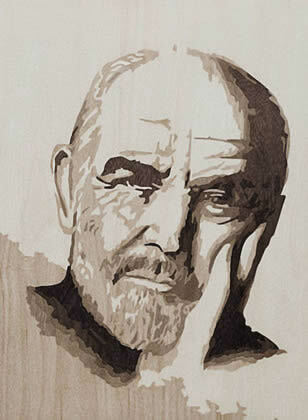 From 1964 to 2010 I worked without a break in producing marquetry inlaid work in the artist carpentry style (where inlaid elements are used in furniture production to display wood or veneer inlays in picture form) until my retirement in 2010. 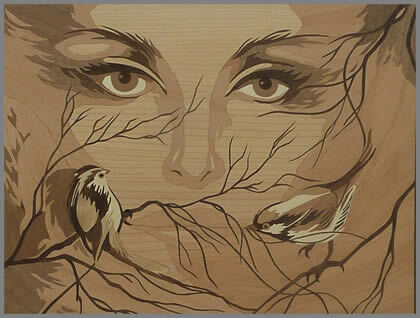 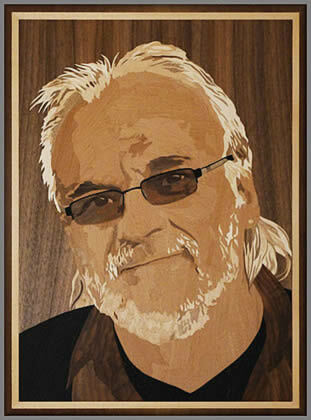 You certainly need a good veneer stock when you begin producing inlaid pieces in quantity. 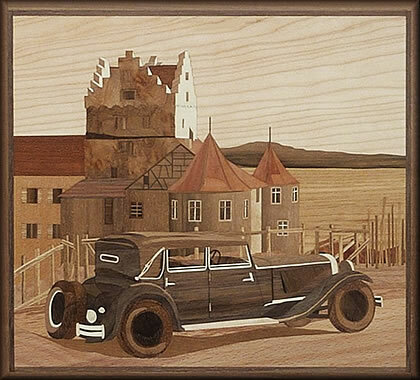 In the 90's, a hobby artist club became aware of my Pictures. 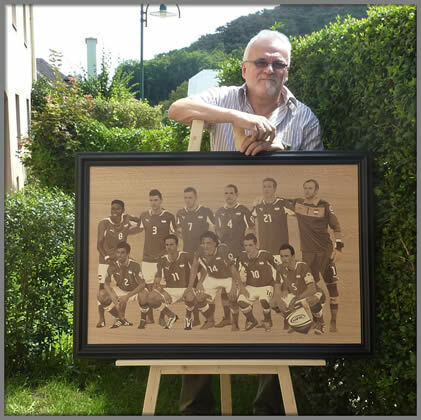 I then joined this group of specialist artists. 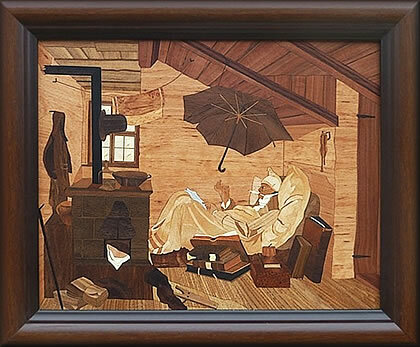 In collaboration and discussions with them they advised me of ways and means to go about adding more detail to my marquetry work. 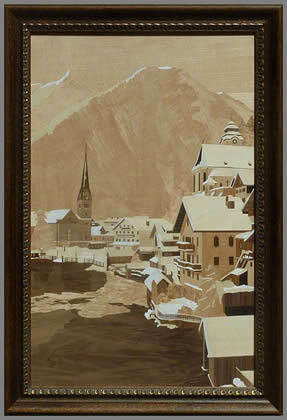 Static images (above all old pictorial views of Bruck / Leitha) allowed me to participate in creating the first public exhibitions which included my art and craft. 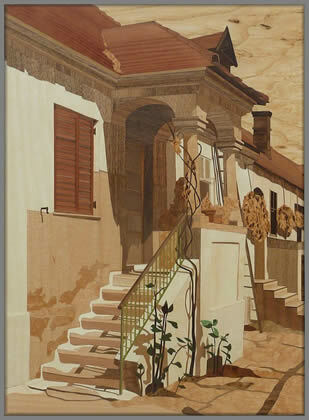 It then gave me the motive to perform solo exhibitions, which with some stylish direction and an enhanced repertoire have allowed change over the course of time and expanded the exhibitions to a higher level. 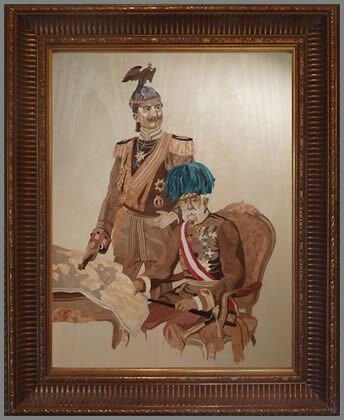 Becoming a known artist specialising in the subject of plants and flowers, and above all portraits, I now also include works from the past.